Get the edge in your Occupational Health Nursing career. Enrol in the program designed by current industry practitioners and delivered with the occupational health experience of 22 years in industry. Learn from a national provider to all industries that lives this work every day. Blended programs (online and face to face) with intensive trainer contact via email, phone, webinar and face to face sessions. This course provides you with the knowledge and skills to be able to undertake the role of an Occupational Health Nurse. On completion of this program you’ll walk away with the underpinning knowledge and skills needed to successfully undertake your role. Understand workplace health monitoring and surveillance including physical assessments such as spirometry, audiometry and vision. Know how to promote health and wellbeing effectively in the workplace. 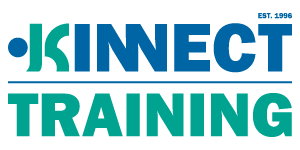 The KINNECT Training Course in Occupational Health Nursing is a comprehensive program tailored to meet industry needs and has been developed with consideration of thorough industry contact. It is a blend of accredited and non-accredited programs with the primary focus of meeting the needs of industry for Occupational Health Nurses. Health Monitoring and Surveillance (worker and environmental health monitoring, surveillance and health promotion). All clusters require the completion of an online theory component followed by face to face class sessions to assist in the application of the theoretical concepts and the undertaking of practical activities. Blended Program Delivery – Study when it suits you. This course is available in a blended format by completing online course theory nd then attending the relevant face to face programs. This method of delivery allows you to get the valuable theoretical background and get to apply your knowledge in a practical way while working with other like minded professionals. Online component – complete the online learning components through the KINNECT Training learning management system at a time that suits you. Ongoing student support will be available via the phone and email and you will be invited to participate in scheduled webinars at key times through the learning program. Expected time-frame to complete your online activities for each unit is between 15-20 hours per cluster. This will be dependent on your experience and prior understanding of these topics. At all times you will have the assistance of a qualified trainer / assessor to guide you through the online learning. Face to face learning and assessment days – at key times in the program participation will be required at face to face training days. These are an invaluable part of the program allowing all participants to further explore the topics in both a class setting as well as direct student / facilitator contact. Practical assessments will be undertaken and guidance for the upcoming units to be completed will be provided. Enrolment into the Course in Occupational Health Nursing can occur at any time however the program clusters need to be successfully completed in order. Each cluster requires attendance at a nominated two day face to face program. All online activities need to be completed prior to attendance of the face to face program which are held 3 months apart to allow for completion of the online components. All resources will be provided to you via the online learning portal so a reliable computer and internet access is vital for all activities. Comprehensive student support is provided via email, messaging within the learning management system, webinar and telephone. This program will be taking enrolments from November 1 with access to online materials from December 1, 2018. First intake face to face sessions are scheduled for the following dates. More dates will be added subject to demand and participants can choose preferred locations for attendance. Note: Perth dates coming soon. In addition, all participants are eligible to attend our stand alone public courses sessions for relevant units. This includes topics such as drug and alcohol testing training and rehabilitation and return to work coordinator programs which are run regularly throughout the year. See our public course training calendar for more information on available programs. Units of Competency completed within this program may be considered for a certificate level program such as Certificate IV in Workplace Health and Safety. Contact KINNECT Training for more information.  KINNECT Training works in conjunction with Trainwest (RTO#51807) to assess this program, and where applicable, a Statement of Attainment will be issued by Trainwest. This Course in Occupational Health Nursing is designed for those wishing to undertake a career in the occupational health nursing field or those wishing to further their knowledge in this area. This program is designed for accredited nursing professionals wishing to pursue a career in the Occupational Health Nursing field, and as such, formal qualification as an Enrolled or Registered Nurse is required to participate. Full up front total course cost is $3500 - SAVE $250! Enrol now for immediate access to the online resources to commence your program. Online access to all resources. 2 day face to face practical session included.